Iowa Free VIN Check | Free Vehicle History - Simply Enter VIN! You can submit a request for title information in writing, by fax or in person to the Iowa Department of Transportation Motor Vehicle Division (DOT-MVD). Check out the fees to be paid prior to release of information at the DOT-MVD’s official site. Make sure to have the VIN, name, title number or license plate number to search records. 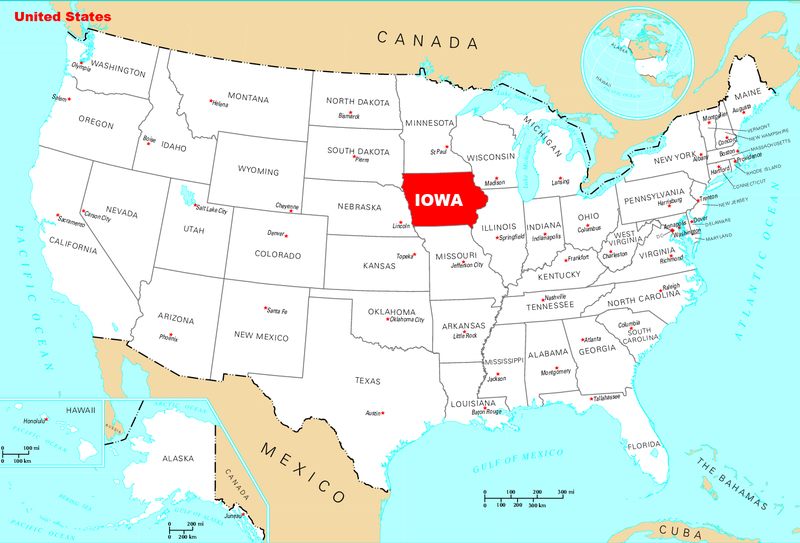 Iowa lies between the Missouri and Mississippi rivers in the Midwestern region. The 29th state to join the Union, the Hawkeye State has an estimated population of 3,046,355 as of 2017. The largest cities in Iowa are Des Moines (the capital), Cedar Rapids, Davenport, Waterloo, and Sioux City. Unlike most states, Iowa does not have a specific law that requires auto insurance. Vehicle owners are required to show proof of financial responsibility to the Iowa Department of Transportation (DOT) after an accident. A total of 55,780 motor vehicle crashes were reported in 2016, including 34,928 which resulted in injuries and 404 which resulted in fatalities. Speeding was the leading contributing circumstance for accidents. 159 thefts were reported for every 100,000 inhabitants. On average, there were 13.6 motor vehicles stolen per day. On average, 46 tornadoes touch down in Iowa annually. 59 disasters, including 41 federally declared disasters, were declared in Iowa from 1990 to 2017. Why should I run an Iowa VIN Check?